The 2012 NFL Draft is over, and the Kansas City Chiefs have added eight new players to its roster. Most draft experts have pegged the Chiefs draft as below-average, and ESPN draft guru Mel Kiper Jr. gave Kansas City a C+ grade overall. Despite the pessimism, the Chiefs have added several players who could start as early as next season and addressed several areas of need. 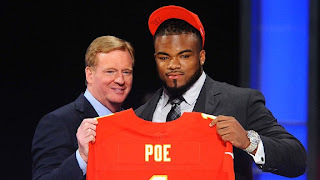 Most of the criticism Kansas City is facing revolves around the Chiefs first round selection of DT Dontari Poe. While he was a workout freak at the combine, Poe did not have much of a career at Memphis, which plays in Conference USA. 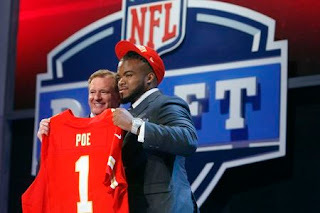 The Chiefs needed help at NT, but many feel that Poe was a reach and that the Chiefs may have once again whiffed on a defensive line draft pick. Poe certainly has all the physical tools to succeed in the NFL, and the criticism leveled at Scott Pioli may be a bit premature. The Chiefs needed to add depth to the offensive line, which is precisely what Kansas City did with its second and third round picks. Jeff Allen appears to be a very strong candidate to start next season, and could hold down a guard spot on the Chiefs’ offensive line for the next decade. Kansas City nabbed Oklahoma’s Donald Stephenson in the third, who could develop into a starting tackle in the future while providing some much-needed depth and youth at the position in the meantime. Allen and Stephenson were not the only additions the Chiefs made to their offense via the draft. Kansas City added WR Devon Wylie in the fourth round, RB Cyrus Gray in the sixth round, and WR Junior Hemingway in the seventh. Wylie projects to be a useful slot WR, while Gray will add depth to a RB rotation that has seen its share of injuries over the past couple of seasons. Apart from Poe, the Chiefs also added some depth to its defense in the later rounds of the draft. 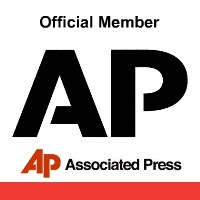 Alabama CB De’Quan Menzie was drafted in the fifth round, while San Diego State DT Jerome Long was drafted in the seventh. Menzie may be a step too slow to play CB at the NFL level, but has great instincts, and could be a candidate to move to safety. Long should push Poe and the rest of Kansas City’s underachieving defensive line. Saturday night at Shadow Glen Country Club the "Gala at the Glen" Charity fundraiser was held for The Cystic Fibrosis Foundation of greater Kansas City. Kansas City Cystic Fibrosis Chapter Board Member Beau Guyette headed this annual Kansas City charity event held at The Shadow Glen Country Club, and this year's charity gala was another HUGE success. The Gala at the Glen charity event raised several thousand dollars this year that will go towards the advancement of Cystic Fibrosis research, patient care and hopefully an eventual cure. Local Kansas City Chairman Beau Guyette gave a heart warming speech after dinner, highlighting the benefits of the Cystic Fibrosis organization and what it has done for millions of people including one of his young daughters. The Gala on the Glen had a wonderful dinner, followed by entertainment by Kansas City dueling pianos, "The Dueling Piano Guys" , produced by Adam Blue Productions, who had everyone at the event on their feet and singing along. The Dueling Piano Guys also generated over $1000.00 in tips which they donated to the Cystic Fibrosis Foundation. The annual Kansas City charity event is one of the best galas of the year, and all that were in attendance that night had a wonderful time. The patrons were very generous with their donations and they helped to make the Gala on the Glen a success for everyone, especially the Cystic Fibrosis Foundation. The Cystic Fibrosis Foundation is the world’s leader in the search for a cure for cystic fibrosis. We fund more CF research than any other organization, and nearly every CF drug available today was made possible because of Foundation support. The Chiefs took Dontari Poe with their first round pick in the 2012 NFL draft, addressing a need at nose tackle with a talented, but raw prospect. 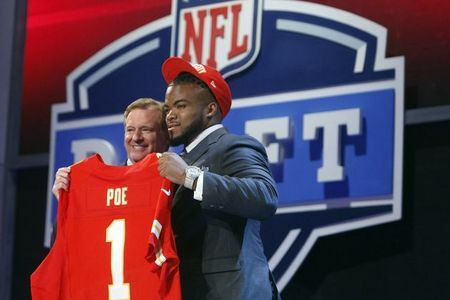 While Poe was projected to fall into the later portion of the first round, Scott Pioli felt that the Chiefs need for a NT was too high, and grabbed the former Memphis standout. Poe is a bit of a mystery coming out of college. He had an insane combine, showing off strength and speed that would merit a high draft choice. Despite all the physical tools, Poe did not produce at a high level in college. Considering that Memphis plays in lowly Conference USA, that has to be somewhat concerning for Kansas City fans. The big question now is did the Chiefs grab someone they could have gotten later? It is hard to say; after his extraordinary combine, many thought Poe would be a top 5 pick. However, after scouts dissected his college game and saw his on-field struggles, many thought he would fall to the 20-30 range. It is very possible that Pioli could have traded down 5-10 spots and still been able to select Poe, while picking up an extra second or third round pick in the process. The Chiefs have had some big whiffs at defensive tackle in the past, and Kansas City fans have to be concerned with Poe’s lack of production in college. However, the team addressed a glaring weakness and nabbed a player that has all the physical tools to play at a high level in the NFL. The Royals 12 game losing streak started with a home sweep at the hands of the Indians, so it was fitting that Kansas City ended its horrendous slide against the team that started it all. Backed by several key home runs, the Royals creamed the Indians 8-2, ending its 12 game losing streak and improving its record to 4-14 on the season. The Royals relied on the long ball last night, and Kansas City’s big three delivered. Billy Butler started off the offensive barrage with a two run blast in the first, and later added a solo shot in the ninth. Eric Hosmer’s two-run home run in the fifth made it 4-0, while Alex Gordon belted a three run home run in the ninth to ensure the streak was over. 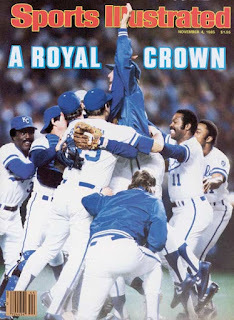 There is no way to sugar coat this win – things were getting beyond desperate for Kansas City and the Royals needed to get the monkey of their backs. Not only did the team pick up a much-needed win, but Butler, Gordon and Hosmer all should get a good deal of confidence after great days at the plate. Luke Hochevar also pitched very well, giving Royals fans hope that he can produce the way he did after the All-Star break last season. Kansas City wraps up its series with Cleveland today before traveling to Minnesota to begin a three game series with the Twins. Luis Mendoza (0-2) will start for the Royals, while Josh Tomlin (1-1) will get the nod for the Indians. Chiefs GM Scott Pioli has made several headlines recently with his comments on Kansas City’s draft strategy. 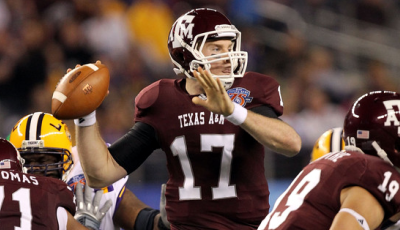 First, Pioli made it known to the press that the Chiefs were strongly considering taking Texas A&M quarterback Ryan Tannehill, then Pioli followed those comments up by mentioning that he would like to draft a quarterback ever year. If Tannehill does fall to the Chiefs, they will have several options. Quarterbacks have fallen in drafts before, and Tannehill could certainly be available when the Chiefs are on the clock with the 12th selection in the first round. In 2005, Aaron Rodgers fell all the way to 24 in the 2005 NFL draft before the Packers took a chance on him, and obviously that worked out well for Green Bay. You need a championship-caliber quarterback to win titles, and Matt Cassel hasn’t inspired a lot of confidence. While the Chiefs have other needs, Tannehill may be too good for Pioli to pass up. The Chiefs may also trade up to ensure they get Tannehill. While this seems unlikely, Pioli may get an opportunity to trade picks to move up and get his quarterback of the future. While the Chiefs have a few holes, they could address them later in the draft or via free agency. If Tannehill is available when the Chiefs select, Kansas City may also opt to trade down to get additional picks later in the draft. Pioli may decide to stick with Cassel now and find a quarterback of the future next year or in the later rounds of the draft. Teams will be interested in Tannehill, and the Chiefs could use that to their advantage. Several players that Kansas City could use at NT, LB or OL may still be available later in the first round, and trading down will give the Chiefs an opportunity to build more depth. Tannehill may likely be gone by the time Kansas City makes its first round selection, but it appears that he could be a significant factor in Pioli’s draft strategy. Will Kansas City find its QB of the future, or move up or down the board? We will know Thursday evening. An amber alert has been issued in Kansas City, St. Joseph and St. Louis after 5 year old Porter Stone, while awaiting a heart transplant, was taken from St. Louis Children's Hospital after his release around 4pm. According to sources at St. Louis Children's Hospital, Porter was released, while still toting around an I.V. (why did they release a child, hooked up to an IV, awaiting a heart transplant, from the hospital??). After his release, his parents, father Jeffrey Stone, and mother Rhonda Matthews took Porter to the hospital's downstairs pharmacy to fill some of Porter's prescriptions and the child - and his "parents" - disappeared. As if this story wasn't sketchy enough, Porter's doctor went on the news saying that "the mother went to get the car, and [reported] that the father never came to the car." This just sounds crazy. The mother "reported" that the father never came to the car? How did she report this information? Did she call in on a cell phone? Why would she leave the hospital AT ALL without knowing where her son was? If she was waiting for Jeffrey and Porter to come out to the car, why in the hell wouldn't she stay at the hospital until they were located? Surely, more answers will present themselves on Wednesday, but for now, the amber alert for Porter Stone advises citizens to be on the lookout for a silver Toyota Corolla with California license plate 6BMU445. Porter Stone was in the official custody of his mother at the time of his abduction from the hospital, yet both parents "drove in from California" a few days ago. Where did this child live? Why is the town of St. Joseph mentioned at all? Why would he be in Kansas City, and eventually in St. Louis when his parents are in California? Rhonda Matthew's brother, Porter Stone's uncle, Ian Fife, was interviewed on the scene and he says that Rhonda and Jeffrey Stone were in a heated divorce and custody battle, and he believes that a kidnapping has been staged. According to medical officials at the hospital, Porter Stone's heart was rapidly deteriorating and he only had enough medication to last him through Wednesday afternoon. Porter, hailing from St. Joseph, Missouri, while his parents somehow were in California, suffered from acute cardiomyopathy was placed on the heart transplant list after going from hospitals in Kansas City to St. Louis for care. 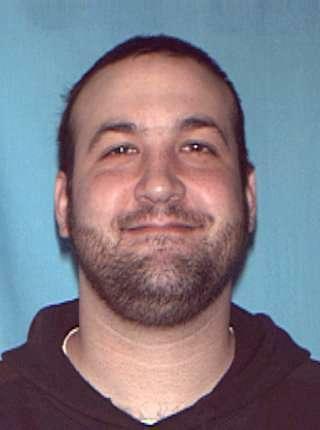 At this time, this story has MAJOR holes in it, and we will need to gather more facts concerning Porter Stone, Jeffrey Stone and Rhonda Matthews - not to mention facts about why the 5 year old child was released from St. Louis Children's Hospital in the first place - before we can report further on this amber alert case. The suspect is believed to be Jeffrey Stone, a white male, age 33, 6'6", 230 pounds, bald, wearing a black and orange San Francisco Giants baseball cap, gray shirt, and black shorts. 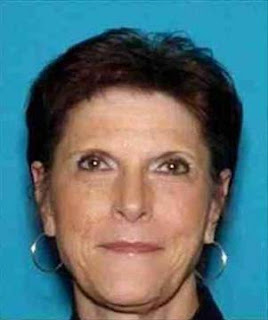 The second suspect is Rhonda Marie Matthews, a white female, age 59, 5'3", 130 pounds,brown hair, brown eyes, wearing unknown clothing. The victim, Porter Stone, is a white male, age 5, 46", 44 pounds, brown hair in a mohawk style haircut. He was last seen wearing a gray shirt, black and white shorts, Spiderman shoes, carrying a backpack with medical IV pump inside. Anyone seeing the victim, suspect, or vehicle or anyone having any information related to the abduction should immediately dial 911 to contact the nearest law enforcement agency or call the St. Louis Metropolitan Police Department at 314-444-5622. 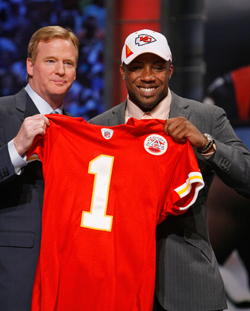 The first round of the 2012 NFL draft is only two days away, and the Kansas City Chiefs hold the 12th pick in the first round. Last season, injuries derailed a talented team that found itself with a decent shot at a playoff berth late in the season, but failed to capitalize and ultimately finished 7-9. Despite a solid young nucleus, the Chiefs still have several holes to fill entering the draft. Arguably the biggest need for the Chiefs is at nose tackle, an essential position for the 3-4 scheme Kansas City runs. Last season, Kelly Gregg played well for the Chiefs, which was a big reason why Kansas City’s defense was stout all year. However, Gregg will not be back this year, and the Chiefs need to solidify this position for the future. Devon Still and Dontari Poe could be potential first round candidates for Kansas City, and there will be solid options in the second and third rounds as well. The Chiefs have a shaky history in regards to drafting defensive tackles, and Kansas City cannot afford to miss on another interior defensive lineman. The Chiefs could also use some help defensively at inside linebacker, where the team needs a playmaker next to the dynamic Derrick Johnson. Jovan Belcher had a decent season for the Chiefs, but pairing Johnson with another Pro-Bowl caliber LB could make the Chiefs’ defense one of the best in the NFL. Many believe Kansas City will take Luke Kuechly of Boston College in the first round, who is graded by most draft scouts as the top inside linebacker prospect in the draft. The Chiefs may likely grab Kuechly and opt to address the NT spot later in the draft. The Chiefs also could use an upgrade at guard, and Stanford’s David DeCastro will likely be available when the Chiefs are on the clock. DeCastro has been labeled by most as the best interior offensive lineman in the draft, and could solidify Kansas City’s line and start from day one. It is unlikely the Chiefs would take a flyer on any other Guards so early, and they may elect to add depth to their offensive line later in the draft. It is hard to guess what Scott Pioli will do Thursday night. Conventional wisdom suggests the Chiefs GM will grab a DT, ILB or G, but Pioli has also expressed interest in acquiring Texas A&M quarterback Ryan Tannehill. The Chiefs are in a position to win now, and hopefully will find an impact player that helps put them back in the playoffs. In honor of Earth Day, which took place on Sunday, the Royals have announced a new partnership with Kansas City Power and Light to install a new solar array at Kauffman stadium to produce solar energy. This new feature, part of the MLB Greening Program, will be the largest in-stadium solar array in Major League Baseball. 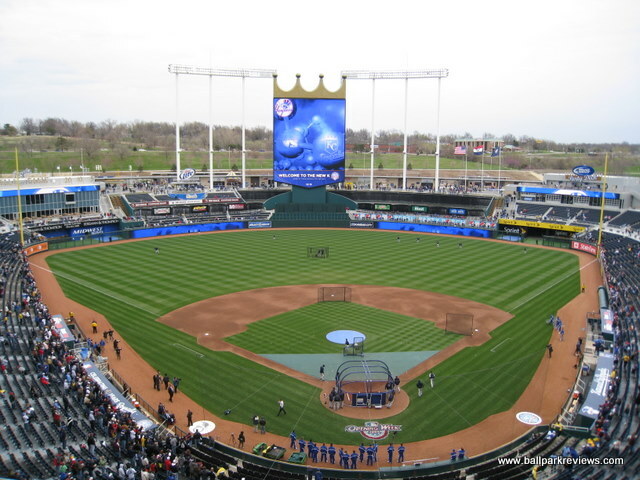 Kansas City Power and Light installed a 28.8 kilowatt solar array on the roof of Kauffman Stadium, which will produce 36,000 kWh of renewable energy each year. This addition is the first step in a long-term partnership between the Royals and KCPL to maximize renewable energy resources at Kauffman Stadium. While Kansas City’s solar array will be the biggest in the league, they are not the only MLB team to add panels to their stadium. The Cardinals added solar panels to Busch Stadium this year, and other teams have made renovations to their ballparks in an effort to go green. The Royals, currently in the middle of a league worst 10 game losing streak, will wrap up its series with Toronto today at 7:10 p.m. 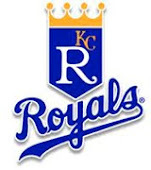 Along the way to their 10 game losing streak, The Kansas City Royals were embarrassingly overmatched losing game number 9 of the streak on Saturday April 21st when the Royals self-destructed vs the Toronto Blue Jays. The Kansas City Royals followed up Saturday's game with an equally terrible outing vs the Blue Jays, stretching their losing streak to 10 games. Back to Saturday's game; this was a game that the Royals could have won. Take away a few bad coaching decisions, and we could have had this one. The first coaching mistake falls into the "hindsight is 20/20" category and it is hard to fault the management on this one, but even after starting Royals pitcher Luis Mendoza got shelled in the 4th inning, it would have been wise not to panic and pull him out so early in the game. It is easy to understand why Grand Master Ned would take Mendoza out of the game after allowing 4 runs in one inning, but Teaford and eventually Herrera did nothing to stop the bleeding. It is conceivable that the Royals would have stood a better chance if they would have left Mendoza in for a few more innings as the Royals offense indeed started making a hasty comeback after he was benched...a comeback that Teaford and Herrera basically threw out the window. Teaford, the left hander was just throwing up ducks, the Blue Jays just swatted almost everything he threw at them, he had absolutely no skills on Saturday. 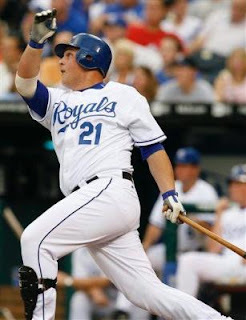 Bad Decision Number 2 - What Was Billy Butler Doing? In the Royals highest scoring inning so far this season, Billy Butler let all of the air out of the tires. After the nightmare that was the 4th inning, the Royals started a big time rally in the 5th inning. The inning started off with a double by Alcides Escobar, who was pushed home by Mitch Maier's super hustle triple (Mitch STREAKED around those base pads, son). Yuniesky Betancourt kept the magic going with a nice little single that brought Maier home, and then the rookie pitcher Drew Hutchinson started to sweat and walked Alex Gordon. Up comes our 2012 MLB All Star Game candidate Billy Butler, who has been carrying the Royals offense all season...until Saturday. With Butler at the plate with two men on base, the Royals fans rose to their feet. Rookie pitcher Drew Hutchinson, who was literally pulled up from the AA roster that week, was obviously freaking out. He could NOT find the plate and quickly put the pitch count up to 3-0. Yes, 3-0. Now what does a professional baseball player do at the plate when the count is 3-0? That's right kids, he TAKES THE FREAKING NEXT PITCH. We don't know if old Ned gave Butler the green light to swing on a 3-0 count or whether Billy took matters into his own hands, but with the entire stadium on it's feet and the rookie pitcher about to pee his pants and simultaneously walk the bases loaded, Billy Butler decided to swing the bat. Clearly the pitch was going to be ball 4, as Butler awkwardly reached for a total squirrel pitch and grounded into an AROUND THE HORN double play. We just have one question for you Billy, what the hell were you doing? Butler would go hitless for the game. The Blue Jays finished the job after that debacle, smacking the Royals up 9-5. Oh well, the Royals keep losing, but the fans keep coming. I suppose that is why management trades away all of our good players and keeps the fans dangling by promising them that "we're building our team from our farm team program" - yeah, right. Attendance for the entire weekend series was around 27,000 each night - so if the people of Kansas City keep spending money to come out to the games no matter how dismal the Royals perform, why change the formula? The reality is that Royals stadium is just a giant bar - well - it's a giant bar......with a mascot....and a massive cover charge.....and you have to pay for parking......and....oh well, we've got to be the most gullible and sheepish city with an MLB team, we just sit back and take it. After starting the season with a lot of promise, the Royals have hit rock bottom. Kansas City lost its 10th straight game today, falling 5-3 to Toronto. With the loss, Kansas City fell to 3-12 on the season. Out of all the losses during the losing streak, today's game might have been the best summary as to why Kansas City is off to a terrible start. The offense couldn't generate runs. Danny Duffy threw good pitches, but got rocked in the 5th inning and took his second loss of the season. Kansas City allowed Brett Lawrie to steal home. The Royals went a paltry 1 for 10 with runners in scoring position. The team got two runners on in the bottom of the ninth with only one out, and Bryan Pena hit into a game ending double play. The list goes on and on, but the point remains - this team is playing terrible baseball right now. 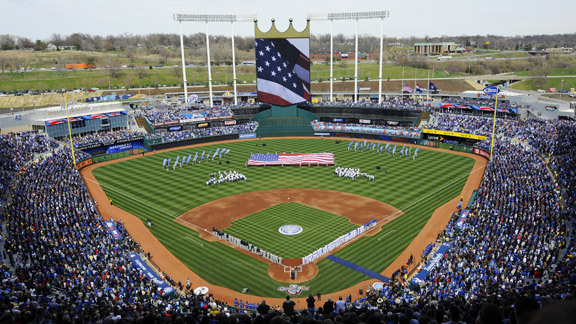 Kansas City is hosting the 2012 All-Star game, which has allowed Kansas City to receive more regional and national attention than normal. Unfortunately, the team has only made its negative stigma worse this season. Kansas City will try to salvage a win in the last game of the series tomorrow, which takes place at 7:10 p.m. Bruce Chen (0-1) will get the start for the Royals, while Brandon Morrow (0-1) will start for Toronto. The Royals will start a series with the Indians in Cleveland on Tuesday. The 2012 MLB All-Star game has unveiled its ballot today, allowing fans across the nation to cast ballots for their team’s best players. Fans will have until July 5 to cast votes in at their team’s stadium for who they think should be in the game, which takes place on July 10 at Kauffman Stadium in Kansas City. Online voting will end on June 28. Royals fans who attend today’s game against Toronto will have an opportunity to be the first fans in Kansas City to vote, as in-park balloting begins today. Despite a terrible start to the season, there are several Royals on the ballot. 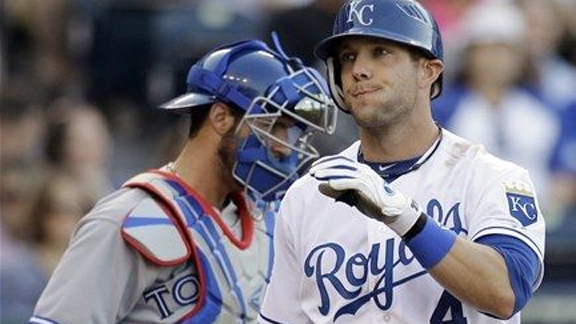 Despite an All-Star worthy season last year, Alex Gordon was snubbed from the team. This season, the only player in Kansas City who is playing at an All-Star level is Billy Butler, who is on his way towards a career year. After a promising road trip to start the year, the Royals season has completely fallen apart during the team’s recent home stand. The Royals lost their sixth straight game at home last night to Detroit, which lead to two troubling outcomes – the Royals are winless at home for the season, and Kansas City is now alone in last place in the AL Central. Kansas City’s offense completely disappeared during its series against the league-leading Tigers. The Royals only scored six runs combined for the entire series, wasting three good outings from its starting pitching. The only player who has consistently produced at the plate this season is Billy Butler. Butler is batting .375 so far this season, with 2 home runs, 9 RBI and 6 doubles. The other big bats in the Royals lineup have yet to consistently produce, and hopefully Butler will get some help from his teammates soon. The main problem for Kansas City has been consistency. The nights the Royals get strong pitching, its offense disappears. The nights Kansas City’s bats come alive, the pitching and defense struggle. The team has shown some flashes here and there, and for the most part, the starting pitching has been solid. The team must find some consistency and soon, or it will suffer yet another lackluster season. The Royals have a good opportunity to turn things around Friday, when they start a four game home series with the Blue Jays. Luke Hochevar (1-1) will try to atone his dismal start last week in which he allowed seven runs in the first inning of the Royals’ home opener. He will face Kyle Drabek (2-0), who has pitched extremely well this season. What: The Dream Factory is a Kansas City charity organization that donates "dreams" to children with life threatening illnesses. The Dream Factory Gala is a formal attire gala that gathers annually to support the charity and to award "dreams" to various recipients. Highlights for this year's gala include an appearance by our good friend Larry Moore, and a performance by The Dave Stephens Band from Los Angeles, CA. 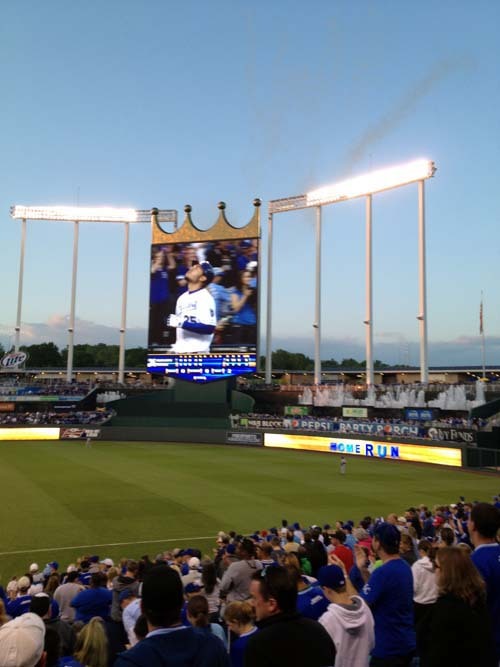 Royals Home Game - Fireworks Friday! What: On Fireworks Friday the struggling Kansas City Royals will take on the Toronto Blue Jays. The starting pitcher for the boys in blue will be Luke Hochevar (1-1, 7.84 ERA). The Blue Jays starter will be Kyle Drabek, who has been red hot with a 1.03 WHIP and a 2-0 record with 12.2 innings pitched. C'mon Royals! Let's get some wins here. 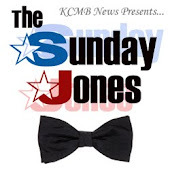 What: The Gillis Spirit Awards is the annual formal gala held by Kansas City's Gillis Center, one of Kansas City's oldest charity organizations. Highlights for this year's gala will include the presentation of the Sprit Awards for 2011 and a performance by The KC All Stars. What: Just when you thought NASCAR couldn't get anymore redneck, The Camping World Truck Series has replaced the Busch auto race on Saturday at NASCAR Kansas Speedway with a pickup truck race. Yes, we said it, it's a pickup truck race. On Saturday, you can pay $99 to go watch some tricked out racing trucks zoom around the track in the Camping World Truck Series. Awesome. What: Dolewite is one of Kansas City's hottest new bands, performing all of your favorite hits from the 90's. Their playlist is based in 90's hip hop, not 90's grunge rock, and they will be welcomed warmly in the Northland, where they love their white trash rock! 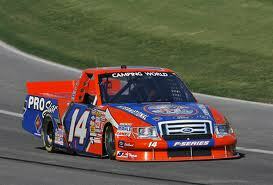 What: The grand finale of Kansas City events will come on Sunday afternoon with the Sprint Cup Series. Greg Biffle is leading the current Sprint Cup Series and will look to keep his lead on Sunday at the Kansas Speedway when rural Coor's light drinkers will gather to watch cars go in a circle for 3 + hours. Without a doubt, America's most amazing sport, NASCAR races attract only the highest society members and black tie attire is recommended. Alex Gordon has been named the official spokesperson for the 2012 MLB All-Star FanFest, which will begin on Friday, July 6th. Gordon’s spokesperson role includes making personal appearances at many of the events being held from July 6 through July 10. With the Royals hosting the 2012 MLB All-Star game, it is no surprise that Gordon got the spokesperson nominee. He is coming off the best season of his career in which he not only put up great offensive numbers, but significantly improved his defense in the outfield and earned a gold glove award. Unfortunately, Gordon couldn’t capitalize on the momentum of being named official spokesperson in tonight’s game against the Tigers. 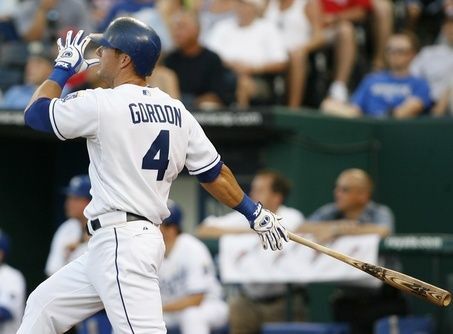 Gordon made a spectacular catch in the outfield, but struck out with the bases loaded in the bottom of the ninth. The Royals lost to the Tigers, 3-2, and fell to 3-7 for the season. 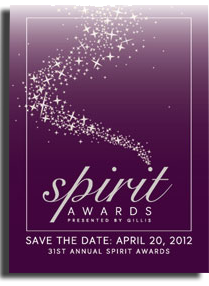 This Friday, April 20th, 2012 will be the 31st Annual Gillis Spirit Awards Charity Gala. This year's event will be held at The Sheraton Crown Center, formerly known as the Hyatt Regency Hotel. There are still a few tickets left at Gillis. Tickets are $125.00 each. The evening's festivities will include cocktails at 6pm, dinner at 7pm, a guest speaker, the award presentation, and then a performance by The KC All Stars, winners of KMBC-TV's "Best Band in Kansas City" award, sponsored in part by Adam Blue Productions. Michael Brooks is a Kansas City Councilman in the 5th District and Pastor at Zion Grove Baptist Church. Pastor Brooks is known as a fair, no nonsense community leader and collaborator with the tenacity to get things done. As senior Pastor of the Zion Grove Baptist Church he began a food and clothing pantry ministry, feeds the homeless and founded Hope Ministries that focuses on the development of the community surrounding the church. He is the President of the Concerned Clergy Coalition, a faith based organization with a brand new initiative addressing the community and race. Pastor Brooks is also one of the founders of HOPE Academy, a Charter School that services high school dropouts. Ann is a devoted community volunteer. Two of her most significant commitments are to the youth of Wellborn Elementary School in Kansas City, Kansas and Hope Center in Kansas City, Missouri. Ann’s emphasis in both educational venues is to help the children aggressively stretch their reading skills. During the summer months Ann spends her time renovating and refreshing the six partner schools supported by the Church of the Resurrection. Ann has spent the last six years working with over 1,500 community volunteers to revitalize the playgrounds at each school. Ann also spends her time organizing community fundraisers to benefit those in need. Mary Cohen served as chair of the Board of Overseers for the United States Coast Guard Academy receiving the Coast Guard medal for meritorious public series. In addition she served as president of the Overland Park Rotary Club and President of the Overland Park Rotary Club Foundation Board, Commissioner of the Kansas City Area transportation Authority, Overland Park Planning Commission and the Johnson County Community College Foundation Executive. Presently, Mary Cohen hosts a television program, “It’s our community” for the Johnson County Community College television stations and is the Executive Director of the Barton P. and Mary D. Cohen Charitable Trust. In addition, Dr. Cohen is the Chair of the World War I Museum Board of Trustees and serves on the state of Kansas Judicial Qualifications Committee. Cliff is co-founder of Cerner and co-owner of Livestrong Park and Sporting KC. He is tirelessly committed to leaving a positive, forward-looking handprint on our region, intensely driven to make every idea and every innovation a real and measurable difference-maker in our community. Cliff’s passion for Kansas City spans an extraordinary array of issues, efforts and projects. A few of his many efforts include the breathtaking growth of Cerner, the Stowers Institute for Medical Research, for which he serves on the Board of Directors, the evolution of Livestrong Park, which has infused thousands of jobs and economic development dollars, the Boys & Girls Club of Greater Kansas City, to which he has generously given his time and the Boy Scouts of America, for which he has served as a stellar regional leader. Lon Lane is President of Inspired Occasions and Chairmen-International Caterers Association Education Foundation. Lon has donated his services to literally hundreds of non-profit organizations in the Greater Kansas City area. This list is long and impressive and includes well-known Kansas City organizations such as City Union Mission, Wayside Waifs and Elmwood Cemetery. One of the less visible ways that Lon volunteers for organizations is by becoming part of their development team in creating an event. Through his guidance and ability to “think outside the box,” many events initially planned to raise much needed dollars turn into glorious affairs that raise more money and awareness for the sponsoring organizations. Gillis and Kansas City News would like to thank all of the recipients of the Gillis Spirit Awards for their dedication to the Kansas City community. There was some nasty weather out on the plains yesterday as tornados touched down in Woodward, Oklahoma killing 5 people and injuring 20. Lighting struck the siren warning system and the tornado sirens did not sound. At this time over 3000 people are out of power in Oklahoma. Weather for Kansas City looks to be cloudy with a chance of intermittent thunderstorms depending on what part of Kansas City you live in. Yesterday, April 14th, over 100 tornado warnings were issued across the Midwest. A state of emergency was declared in Sedgwick County, Kansas and Kansas Governor Sam Brownback is scheduled to tour the damaged areas today - what the hell good will that do? Anyway, it seems the town of Thurman, Iowa got hit the hardest, with almost 75% of the ENTIRE town destroyed! 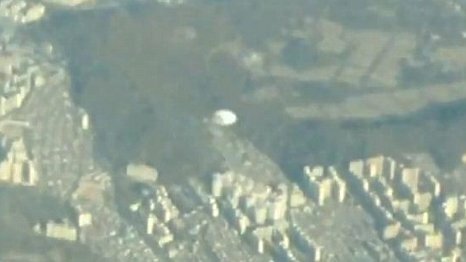 Hope the local bar is still standing. The American Red Cross is focusing food and shelter efforts on the areas of Kansas, Iowa, Oklahoma and Texas until the damage is repaired and the people left homeless are taken care of. The weather in Kansas City today will be a slight reflection of the storms that passed through yesterday and last night, with cloud cover for most of the day and a chance of thunderstorms until early evening. The 5 day weather conditions for Kansas City will see the sun come out again on Monday with mild temperatures in the low 70's and no rain in sight until Thursday. 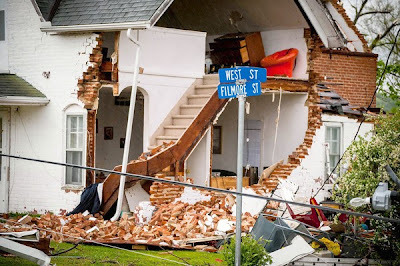 In the wake of the terrible tornado that rocked Joplin, Missouri last year, officials and government agencies are quicker to issue warnings and watches during this year's tornado season. Too bad it didn't thunderstorm on Friday night and "wash out" that hideous Royals home opener! The newest popular television sensation the X Factor is looking for solo singers ages 12 (as of January 1, 2012) and up, girl groups, duos, boy bands or vocal groups of any combination including Kansas City bands. ANY type of music is welcome - pop, rock, rap, country, R&B, alternative, hip-hop...you name it! With a prize of a $5 MILLION DOLLAR RECORDING CONTRACT, on the X Factor, we're not playing around. Why not audition? What do you have to lose? If you missed the audition for the X Factor in Kansas City you can audition online and it takes no more than 10 minutes, and could change your life forever! Be sure to get your X Factor Audition in before the APRIL 15th DEADLINE! Although there is not one located in Kansas City, you can travel to one of the following MyStudio Booths to audition for the X Factor: Hawaii, Los Angeles, Las Vegas, Pheonix, Nashville, New Jersey and New England Go here: http://mystudio.net/xfactor2012/aboutxfactor.aspx for more information about exactly where and when. 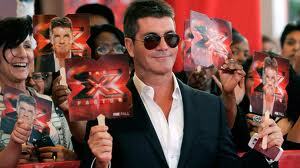 Here at Kansas City News we are going to give you the phone number to one of the actual producers of The X Factor! Who loves you more than us? Let them know by email (maggie.xfactor@gmail.com) or call them at 818-748-1240 if you have questions, concerns or problems auditioning. The X Factor also asked us to tell Kansas City residents to feel free to share this information with anyone you think might be interested in auditioning. In the X Factor producer's experience, a recommendation by a friend, co-worker, teacher or family member to audition is where real undiscovered talent comes from. Wouldn't it be great if a talented singer or group of singers (remember, we're looking for ages 12 and up and groups!) from the Kansas City area auditioned and went ALL THE WAY to the $5 million prize!? Best of luck from the producers of the X Factor and all of us here at Kansas City News. There are “tough” ways to lose a baseball game, and then there is the manner in which the Royals dropped last night’s extra-inning affair to the A’s. After taking the lead in the top of the 12th off of a Billy Butler double, reliever Jonathan Broxton allowed two runs and Oakland had a walk-off victory. It was how Broxton gave up the last run that has Kansas City fans fuming. After former Royal Coco Crisp tied the game in the bottom of the ninth with an RBI grounder, Broxton’s control issues began. He hit Yoenis Cespedes on the first pitch of the at-bat to load the bases, then beamed Jonny Gomes on the first pitch of his at-bat to give Oakland the win. It was only the third time the A’s have won a game on a hit-by-pitch in the club’s history. Broxton’s meltdown wasted some clutch hitting by two of Kansas City’s stars. Billy Butler and Alex Gordon both hit home runs and were responsible for all four of the Royals’ runs. The Royals had chances to add to their total, including a bases-loaded situation in the 5th, but were unable to capitalize. The Royals’ return home tomorrow with a 3-3 record, and Kansas City can’t help but feel like it missed a golden opportunity to win its first two series of the year. There are some positive signs that should give fans hope – Kansas City’s starting pitching has been fantastic, and the Royals’ main offensive weapons are starting to find their groove. The Royals have a very easy April schedule, and there is no reason to doubt that Kansas City can emerge from the first month of the season with a winning record. The Royals return to Kansas City tomorrow for the team’s home opener. Luke Hochevar (1-0) will start for Kansas City, while Derek Lowe (1-0) will start for the visiting Cleveland Indians. The Royals lost last year's home opener, 4-2, to the Angels. The 2012 All-Star game in Kansas City will feature many fun events and attractions; however none may be bigger or more interactive than the FanFest. Entering its 22nd year, the MLB FanFest is an interactive baseball theme park that features activities for baseball fans of all ages. With the All-Star game coming to Kansas City, this year’s FanFest will feature free autograph sessions with legendary Royals players, as well as rare Royals memorabilia. The FanFest activities last for five days, starting on Friday, July 6 and ending on Tuesday, July 10. The events start at 9:00 a.m. each day and last until 8:00 p.m. on every day except Tuesday, in which the event ends at 6:00 p.m. A full list of the events and their times and date can be found here. Tickets are currently on sale, and an adult ticket is only $30. All existing Royals Season Ticket Holders will have the opportunity to purchase a strip ticket for all MLB All-Star events held at Kauffman Stadium. Each strip includes one ticket to each All-Star Week event at the ballpark and two MLB All-Star FanFest tickets. 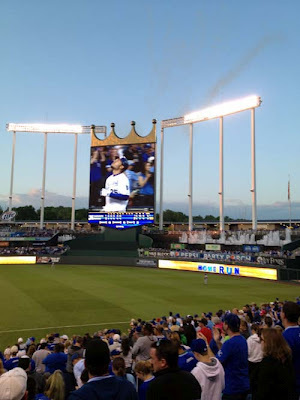 With the 2012 MLB All-Star game at Kauffman Stadium, people in the Kansas City area have a great opportunity to learn more about the game and dive deeper into Royals history. The 2012 FanFest has a lot to offer, and is one of the nice perks a city gets to enjoy when hosting baseball’s midsummer classic. KANSAS CITY, April 9, 2012 — Gahagan-Eddy, LLC., a Prairie Village building and roofing company, will announce and recognize the recipient of a new roof as the culmination of the Gahagan-Eddy Roof Giveaway in celebration of the company’s ten years serving Kansas City as was first reported by Kansas City News earlier this spring. In this Kansas City charity event, Lieutenant Joe Sullivan, a 19-year active firefighter with the Leawood Fire Department, and his family were selected as the winner of the new roof. A ceremony recognizing Sullivan and awarding him the new roof will take place Monday, April 9, at 4:30 p.m. at the Leawood Fire Station located at 127th St. and Mission Rd. 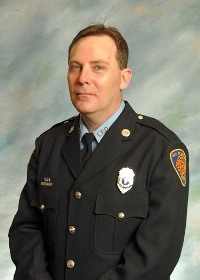 Sullivan was born in Kansas City and married Linda Zimmerman, also a firefighter at the time, in December 1998. The two met at an EMT class, their lives having intersected on the premise of serving others, and have continued this endeavor throughout their lives together. They settled in Sullivan’s parents’ home in Kansas City, Kan., which has sheltered generations of Sullivans over the course of 40 years. In 2004, the two became the proud foster parents of three children providing them a warm, loving home built on the enduring love of the Sullivan family. Shortly after welcoming the children into their home, life took a turn for the worst for the Sullivans. Linda was diagnosed with an advanced stage of breast cancer and while battling the disease with treatments, Sullivan kept the family going. While Linda was healing from surgery and chemo, Sullivan would lay the infants with Linda to be close to their “mom” – as this was ultimately the plan, to permanently adopt these children as their own, a wish that did come true. Then in December 2011, Sullivan re-proposed to Linda in hopes to renew their vows this spring. While filled with love, the roof of their home has aged, leaks, and is not providing a sufficient cover for their family. 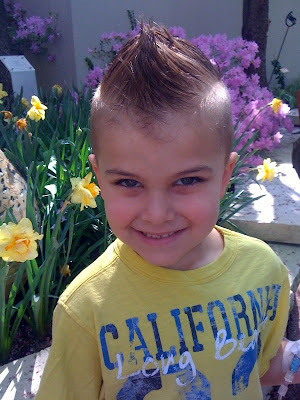 Learn more about the Sullivan’s story and Gahagan-Eddy, LLC, at Gahagan-Eddy.com (orExcellenceIsOurHabit.com). 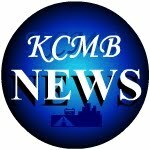 This Kansas City Charity Event was brought to you by Kansas City News.